Toy-Fu Tat Roulette – Saturday Only Prize!!! Now we are aware that there are a few attendees of Auto Assembly who can only make it for the one day, and that day is usually the Saturday, so to make sure everyone gets a chance of winning, we have a Saturday only prize. 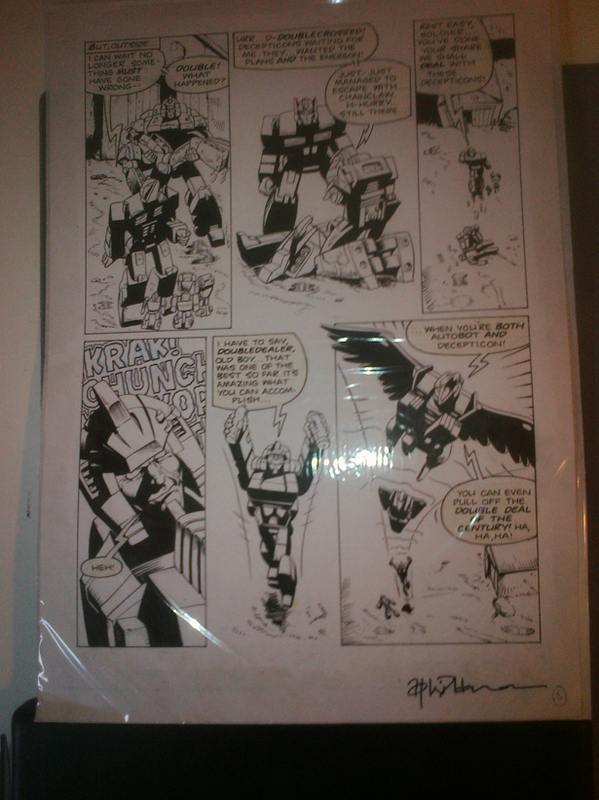 Some original art from the Marvel UK Transformers comic. Specifically page 5 of The Double Deal of the Century. 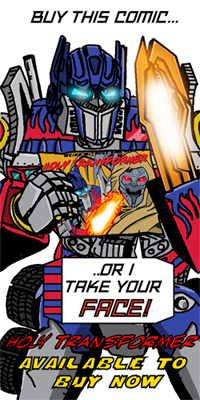 Written by Simon Furman and drawn by Andy Wildman.